The Combination Manholes Rope Climber with Side Nets has something that everyone can enjoy. 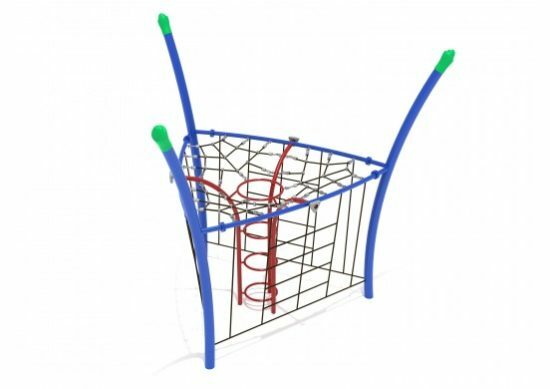 It provides a variety of metal and rope based climbing options for children to amuse themselves with. Children will love the fun challenges that playing on this will provide, from the climbing the side nets, to hanging from the roped top and climbing the center manhole. The variety of climbing and play options will also help children to improve and develop their overall body strength. 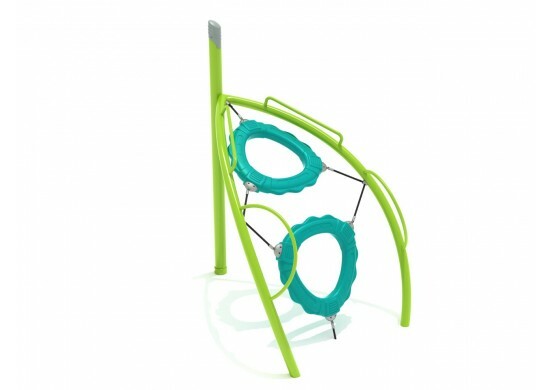 Furthermore, this rope climber is also designed to help children improve their balance, coordination, and athletic abilities while they play. Use the Combination Manhole Rope Climber with Net Sides to accessorize your already existing park or playground, or use it in combination with other Get Physical components to create your own customized playground. It is designed for children between the ages of 5 and 12 years old, and has a fall height of 8 feet.